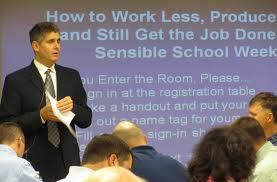 If you want to learn how to work with less, produce more and still get the job done in a sensible school week then it sounds like you’re ready for The Breakthrough Coach; and, he’s returning to Connecticut in March 2014! Register now for the overwhelmingly popular Breakthrough Coach training being held March 24-25, 2014 at CAS. For more information, download a conference brochure.